Product #16256 | SKU WALL-USB-3.1AMP-WW | 5.0 (based on 1 rating) Thanks for your rating! All items meet or exceed OEM standards and come with a 3-year manufacturer warranty. I have had one of these for several years and it's really good. It has a 2.1 Amp USB socket for charging phones etc pretty quickly. 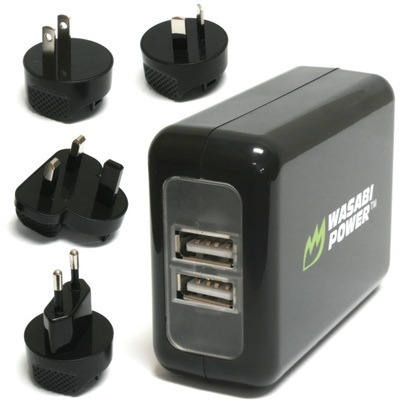 The worldwide plugs included are brilliant if you travel a lot. Recommended!